Where is the YaCy search portal? The idea of YaCy is to have a distributed search without a centralised server and with an own search software. If there were a central Web portal then that could ruin the whole idea! However, people keep on asking for a 'demo' search portal or just something where it is possible to try YaCy without the installation of the YaCy peer. Offering a demo portal for everyone is not useful for YaCy if people are using only the search portal as search engine without contribution of a new peer. We therefore like to ask frequent users of the portal to install their own YaCy peer as access point for the global search. 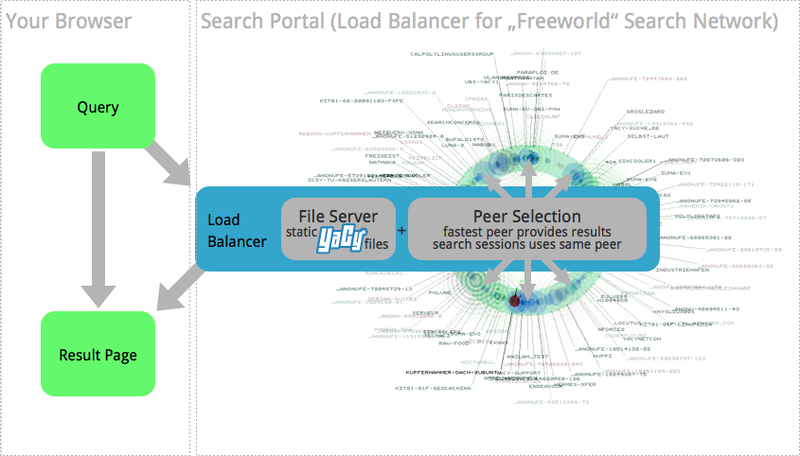 Operating your own search peer is the best option to use YaCy. All arguments for a decentralized search about privacy and censorship resistance will apply and your own peer offers probably the best search performance.